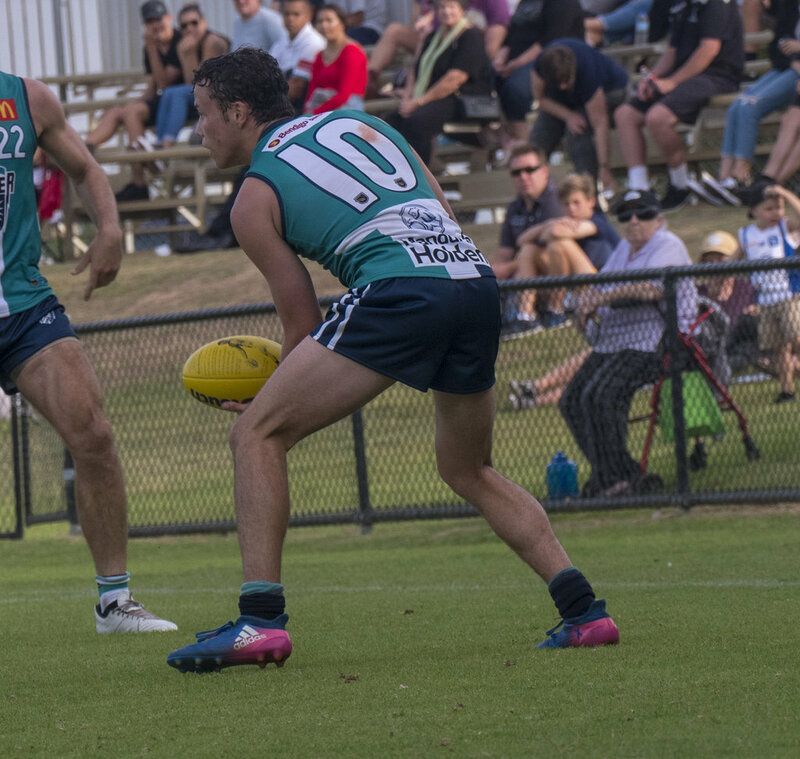 THE returning Ben Howlett and out of favour AFL veteran Danyle Pearce both did all they could to try and get Peel Thunder back into the finals in 2018 and were rewarded by sharing the Tuckey Medal as fairest and best winners. 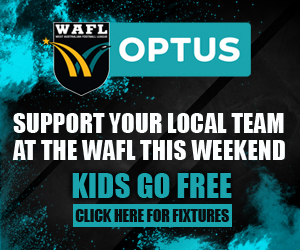 On the back of playing in the club's first three ever finals series and winning the past two WAFL premierships, Peel wasn’t quite able to back it up and reach the finals again in 2018. But that didn’t mean there weren’t some highlights along the way and some standout performers for the Thunder. The two standout performances for Peel throughout 2018 were Ben Howlett and Danyle Pearce, and the pair couldn’t be split in the finish sharing the Tuckey Medal as the fairest and best winners. Howlett is now a dual fairest and best winner with Peel throughout his 78-game WAFL career. 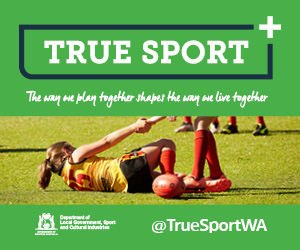 He won his first Tuckey Medal back in 2009 before being drafted to Essendon where he went on to play 123 AFL matches with the Bombers. 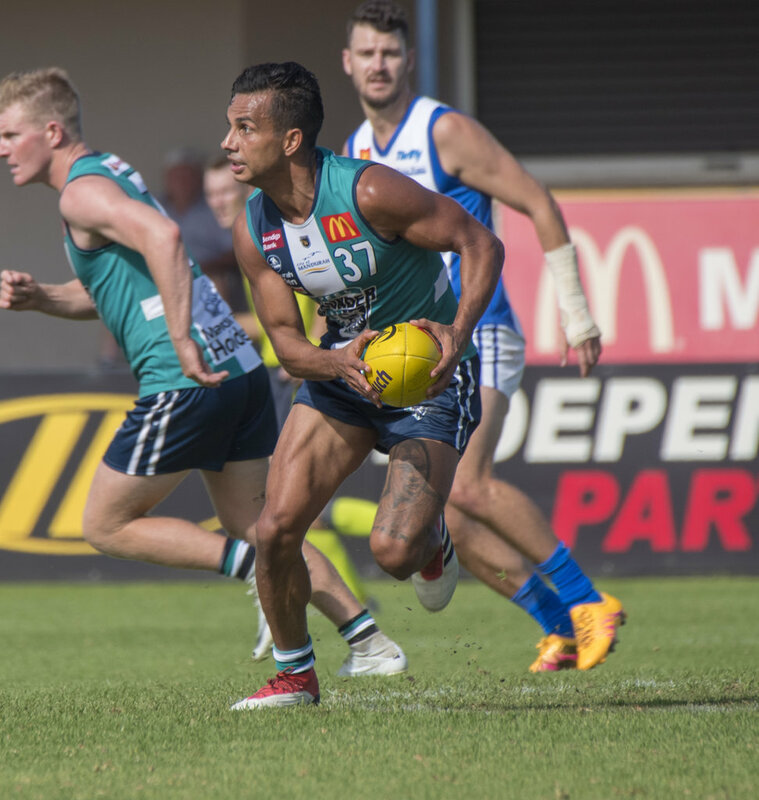 He returned to his original WAFL club in 2018 following his delisting from Essendon and was an outstanding contributor in the midfield for Peel. Howlett went on to average 22.9 disposals a game for the season while also being a ferocious competitor highlighted by his averaging of 8.2 tackles a match. He was a deserved recipient of his second Tuckey Medal as he builds on his legacy with Peel started before his AFL career took off at Essendon. Pearce had good reason to think that he deserves to play more AFL matches at Fremantle in 2018 given the form and physical condition he was still in with 258 games of experience under his belt. But it wasn’t to be and to his tremendous credit, he didn’t ever drop his head and threw himself whole-heartedly into competing hard with Peel and went on to average 29.6 touches across his 16 games for the Thunder. He had a high of 40 possessions against Swan Districts in Round 2 and had another eight games where he racked up 30 or more disposals. His consistency was especially a highlight with only one of 16 matches seeing him compile less than 23 possessions. 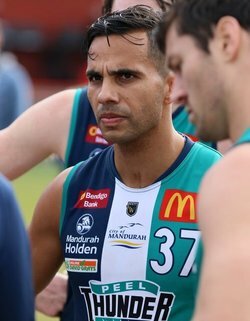 Pearce has now retired from AFL level after 258 games where he played in Grand Finals for both Port Adelaide and Fremantle, and he has made his mark in the WAFL too now as a premiership player in 2017 and Peel fairest and best winner in 2018. Runner-up in Peel's fairest and best voting was dual premiership-winning forward Blair Bell. He put together a solid 2018 season kicking 13 goals and averaging 15 possessions across his 17 games. Another premiership player to have a strong season was Ben Hancock. Now with 79 WAFL games under his belt, he had the best and most consistent season of his career which was acknowledge by receiving the Most Consistent Player award. Corey Morris struggled for a regular league berth in the first half of the season, but cemented his place from there to show he's a more than capable league player. 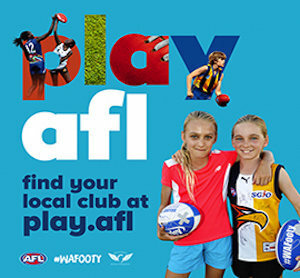 The 36-game WAFL player received the Players' Player Award. Jordan Boullineau showed that he has a bright future playing 14 matches in 2018 and the emerging defender claimed the Arthur Marshall Young Player of the year award. Gerald Ugle and Luke Strnadica kicked 17 goals apiece to share the Leading Goalkicker award while Keegan Power received the Tom Stone Medal for overcoming adversity and dual premiership-winning hard man Brayden Lawler claimed the Coaches Award. 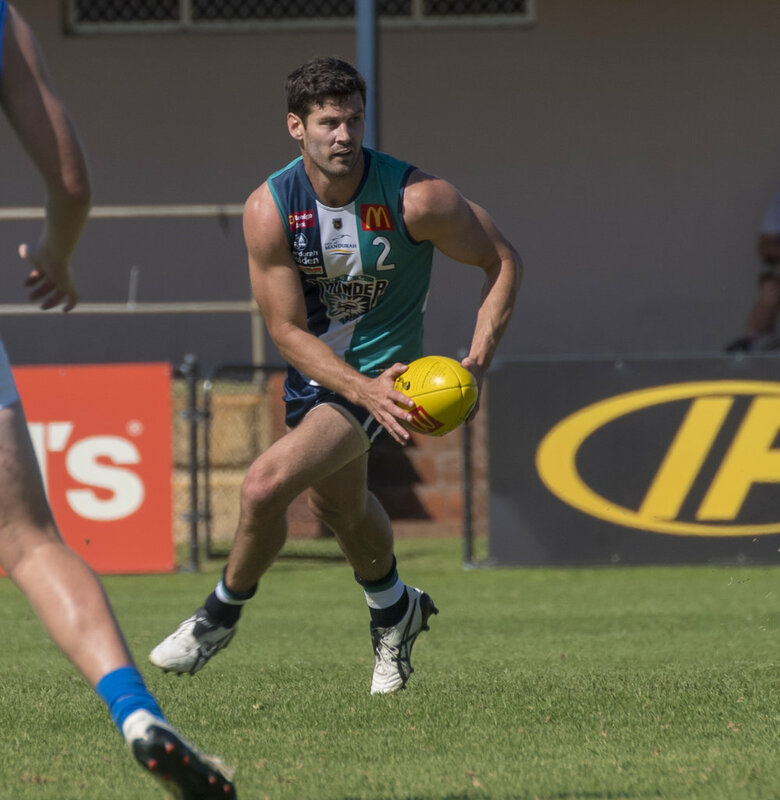 Haydn Matthews was named fairest and best for Peel's reserves in 2018 winning the Ball Family Medal ahead of Oliver Walton. Jacob Perry claimed the Coaches Award. 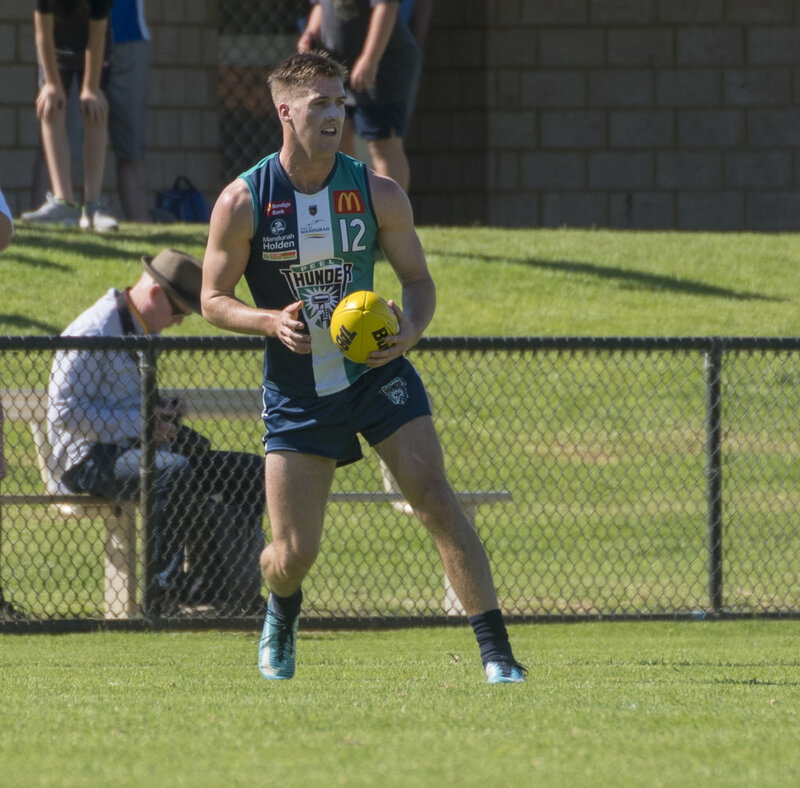 Peel's colts reached the preliminary final in 2018 and Lachlan Riley was named the fairest and best winner claiming the David Cameron Memorial Medal.